A potent but gentle formula that prevents hair loss and helps regrowth. For men who have thinning hair and balding on the top of the scalp, but experience sensitivity to a higher alcohol. Men’s FOLIGAIN Low Alcohol is for men who have a general thinning of hair on the top of the scalp as shown (Vertex Only). Not intended for frontal baldness or a receding hairline. 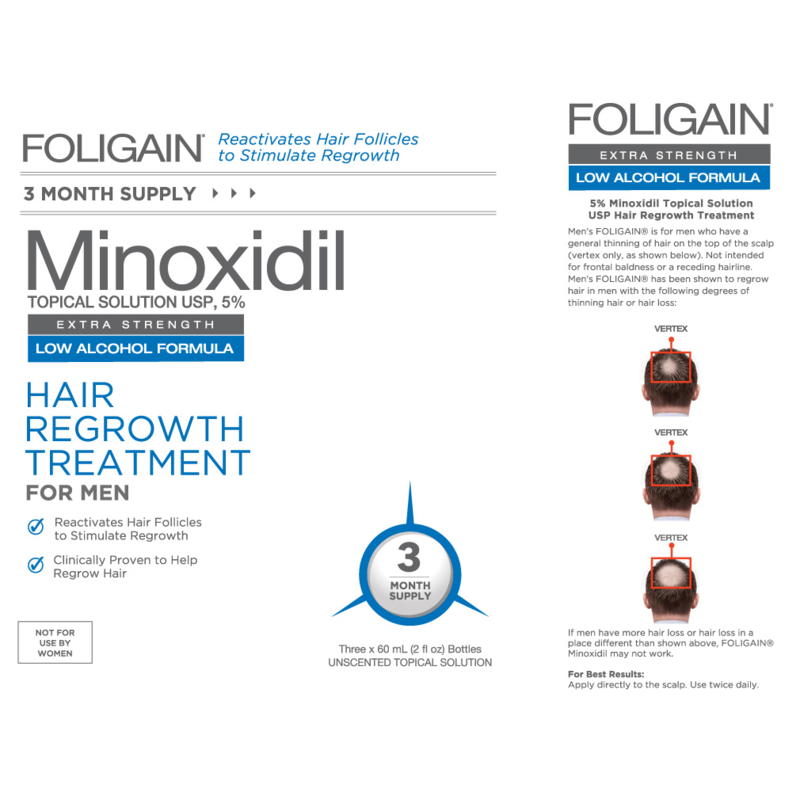 Men’s FOLIGAIN Low Alcohol has been shown to regrow hair in men with the following degrees of thinning hair or hair loss. 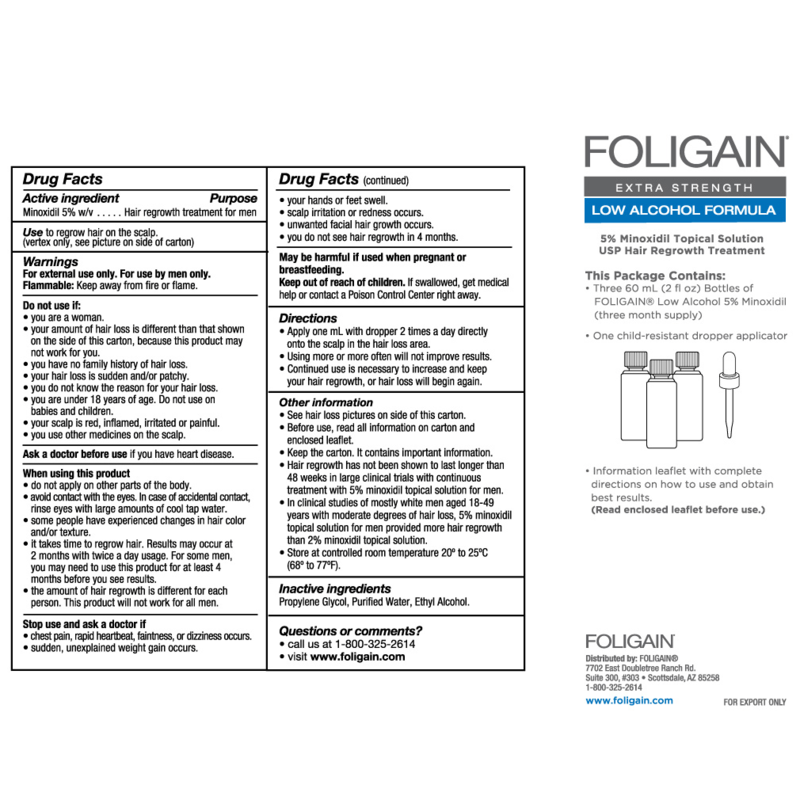 If men have more hair loss or hair loss in a different place, Men’s FOLIGAIN Low Alcohol may not work. Part your hair in the area of hair thinning/loss. Using the dropper applicator, apply 1ml twice daily onto the scalp in the hair loss area. Do not use more than 1ml. Spread the liquid evenly over the hair loss area. Wash your hands with soapy water immediately after application. NOTE: Using more product or using it more often will not improve results. 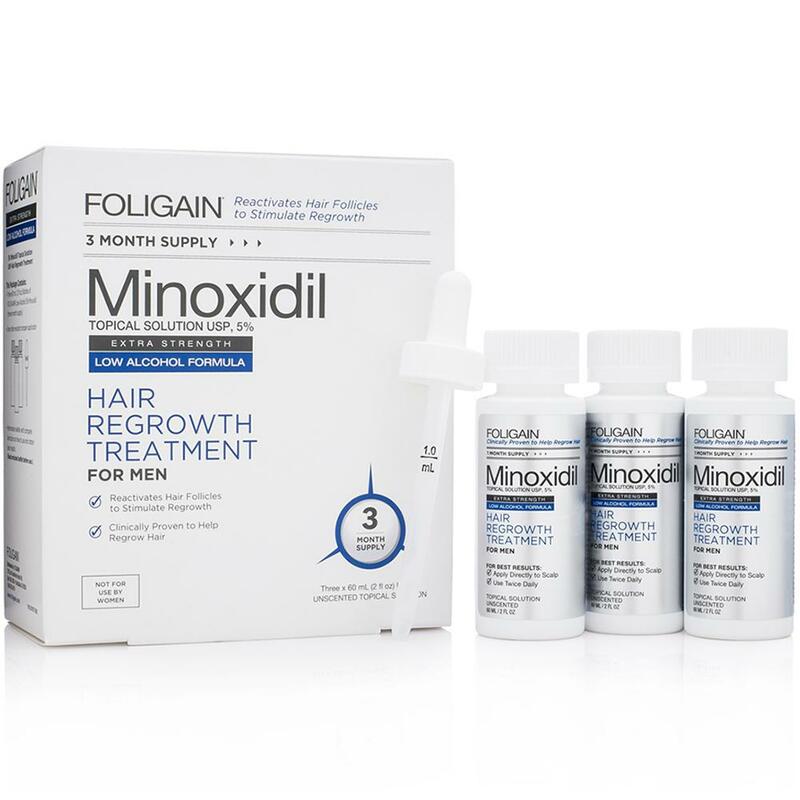 If washing hair prior to FOLIGAIN MINOXIDIL application, use a mild shampoo.